Where are you working / studying presently? Please describe your scope of responsibilities at work/ scope of study (if currently pursuing a higher degree). I’m currently pursuing Master of Food Science in University of Melbourne, Australia. As the title implies, my scope of study is food science. This will be a more in-depth study of food chemistry, food processing, food microbiology and other subject under the umbrella of food science. I am also studying sustainability in the food science field, to ensure that our future generations will have enough food on their plate. Initially, it was my parents dream to send their children to a reputable university and their choice fell to MUM. 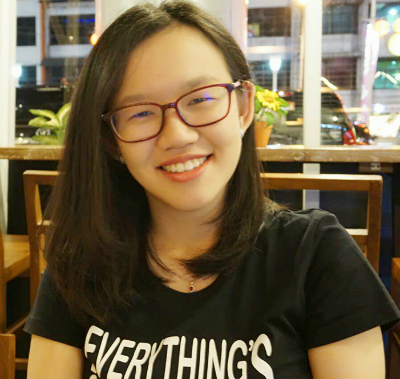 But during my stay in Sunway while completing my pre-university program, I came to know that Monash has a good education system that will prepare me for the working life or further study that I needed. My family. And the fact that Malaysia is not that far from my hometown. Please describe your study experience at Monash University Malaysia. Overall, my experience at MUM was good. Teaching staff are professionals and they know what they are teaching. They are also ready to help when you need it. Monash has good facilities and they keep on improving. More spaces are available in the library now for those people who need to use the library to focus. For sport-oriented people, Monash has a basketball court, badminton court and gym for students to use. Monash databases for journals are good, definitely one of the best compared to others that I have used. Life on campus was fun. There are a lot of clubs and organisations that you can join to add colors to your university life. I was struggling real hard during my first semester in MUM. I was not used to the new environment I was in and found it hard to catch up with my study. I invested more time in studying, taking a step at one time, reading the textbook and re-watching online lecture. I eventually was able to catch up with my study. What qualities did you acquire during your studies at Monash University Malaysia that were beneficial / helpful to you in the working world? Time management skill as I need to juggle between assignments and non-university related organisation. MUM also gave me the opportunity to mingle with people from different backgrounds, allowing me to understand and adapt to the differences between people. What advice would you offer to current students who wish to attain success in University. Don’t judge and hate yourself if you fail, take it as a reminder that you need to do better. Set a goal and work hard to achieve it. FST 3850 – Food Product Development. I am grateful that I was able to take the subject before I graduated. This subject required my teammates and I to develop a new product over the span of one semester. It gave us the opportunity to use our knowledge on food chemistry, food processing and food microbiology and hands on experience in developing a new product. Although it was a hard work and required a lot of planning to get everything done on time, the subject definitely was a good experience.